Our regular Third Thursday Demo will be held at 12:30 p.m. on January 21. New for 2016, we'll repeat the demo on the following Saturday each month at 9:00 a.m. This month it's January 23. Karen will demonstrate the Creative Grids Round Up Tool. 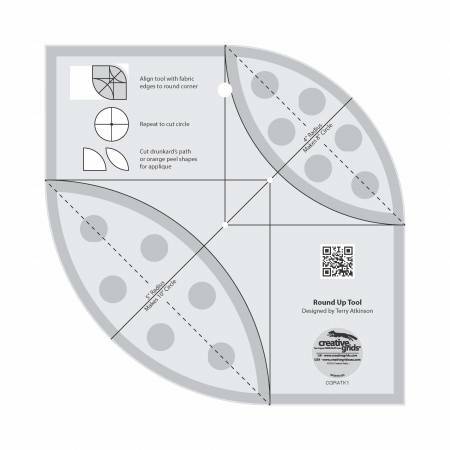 This versatile acrylic template makes cutting circles, corners, petal and orange peel shapes, and drunkard path units quick and easy. We'll have three patterns available that use this handy tool. Join us on Thursday, January 21 at 12:30 p.m. or on Saturday, January 23 at 9:00 a.m. to see the demo and experiment with the Round Up Tool. No RSVP necessary. Bring a friend! 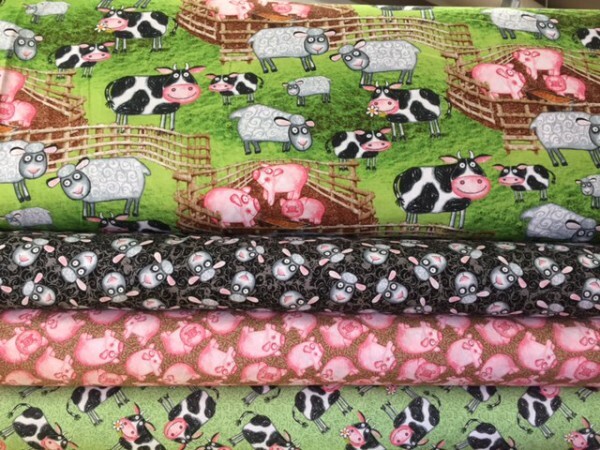 The expressions on the faces of these pigs, sheep, and cows are delightful. Come by the shop for a closer look and a chuckle. This fabric would make a great tote bag, set of placemats, or quilt for an animal-loving child. We've phased out Minkee in favor of a larger collection of Cuddle. It's SO soft. Great quality and $1 less per yard than the Minkee. Cozy quilt backing for adults, children, and babies. Make this fun and functional casserole carrier at the first of our new “In The Kitchen” series that will continue throughout the year on the third Wednesday of each month. Use strip quilting techniques to create a quilt block design for your carrier or use one fabric if you want to get it done fast. Insulated batting keeps your dish warm. D-ring constructed handle makes carrying simple and it opens flat for a stylish table mat. Designed to fit both square and round dishes. Cindy Dahl will teach this class. Have you always wanted to make a sampler quilt? Make 2016 the year to accomplish this goal. On the fourth Friday of each month we’ll host “Friday Sampler” sewing sessions. 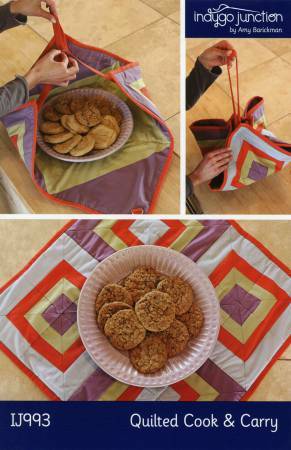 Make your sampler using traditional fabrics or go contemporary by using solids, brights, or batiks. If you start in January and make two blocks during each session by the end of the year you’ll have 20 blocks . . . enough for a queen sized quilt. 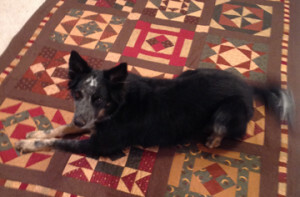 Karen Childress (who loves sampler quilts!) will be in the classroom to provide assistance. Click here to see the complete class schedule. Class 1: Friday, January 29, 10 a.m. – 1 p.m.
Class 2: Thursday, February 25, 10 a.m. – 1 p.m.
Class 3: Thursday, March 24, 10 a.. – 1 p.m. The classes will include an overview of the software, a variety of exercises including lettering, monogramming, auto and manual digitizing, and more. Please email Cindy Dahl or call the shop at 970-565-7541 for additional details. Join Cindy and Karen on Sunday, February 7 for a full day of hands-on learning about 16 different BERNINA presser feet. Feet Retreat will take you far beyond the basics when it comes to using the proper presser foot for the task at hand. 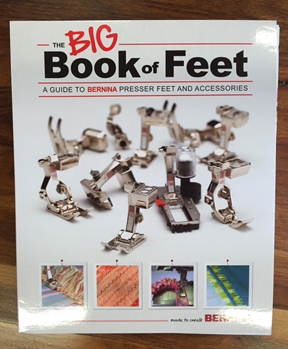 Many BERNINA presser feet have multiple uses – some practical and some just flat-out fun. If you own a BERNINA (or if you’re thinking about investing in one) you won’t want miss this event. Feet Retreat is limited to eight participants so call or come by today to reserve your space. Everyone has their favorite fusible web to use when doing applique. We stock Steam-A-Seam II, Lite Steam-A-Seam II, and Heat & Bond Lite. 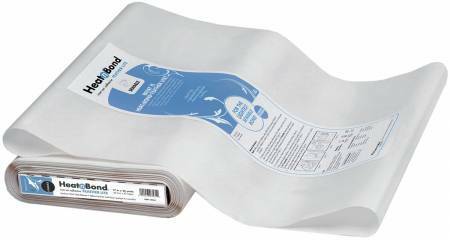 We just added a new one which is Heat & Bond Feather Lite. Its low temperature and short pressing time allows for a wider range of materials. 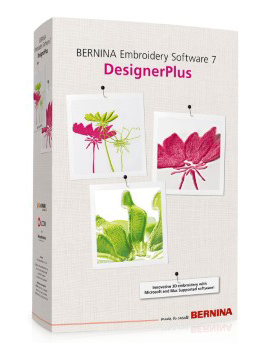 Once applied, it can be sewn through, making it ideal for appliques, quilts and other sewable craft projects. One of our regular customers came by the shop the other day to share a story. She was trying to put borders on a quilt top, and no matter how many times she measured they kept coming out the wrong size. She even asked her husband to weigh in to see if he could figure out what was going on. He was equally perplexed. Quite frustrated, she decided to inspect the blue measuring tape she was using. What you see here solved the mystery. If you use a variety of tools to measure when quilting, take a few moments to test them. When it comes to quilting rulers, we recommend sticking with one brand. Creative Grids are our favorite. 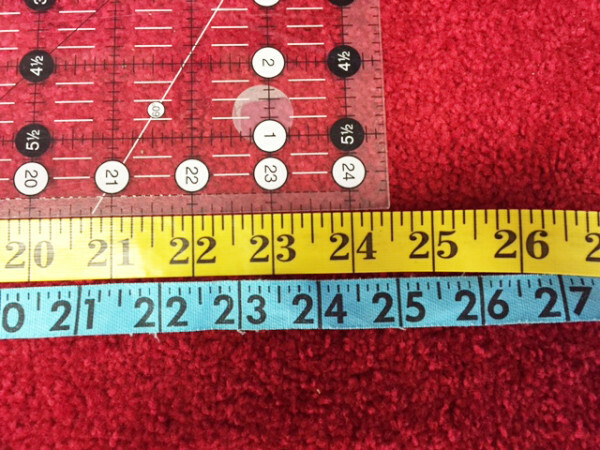 Using the same brand consistently will not only ensure accuracy, but it's also much easier and faster to read rulers when you are familiar with their unique markings. about "FB Only" specials during 2016!